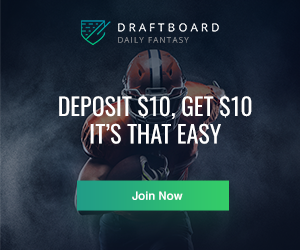 As fantasy season approaches, and drafts are in full swing, owners are looking for any unturned rock that might add some late round value. 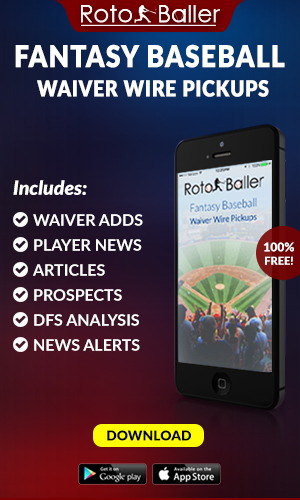 As the Rotoballer team releases an updated prospect list, now is the time to see what players are on the cusp of making the majors, but would be worth the stash if they do make the jump. All of these players are ranked below 35 on my 2019 prospect rankings, and they are outside the top prospects that will be targeted in most redrafts. In draft and holds, these are players to add in the last few rounds or to stash in that "NA" slot. Most candidates will need a break or two to make the team, but with the right forethought, the roles are there to become impact players. All it takes is one injury, insert Jose Ramirez here, and the field opens for young stars to shine. Below are players that should be on fantasy radars even just for late-round darts. Target these players that are below the radars; the dividends will pay off. At the very least, take note of these names, and get the jump on other owners. Chavis might be the best prospect in the Red Sox organization, and this shows the lack of impact talent that the team possesses. And yet, finishing the season at Triple-A, Chavis seems to be nearly ready for the jump to the big leagues. After being suspended for a failed PED test, Chavis only appeared in 46 games in 2018, so there might be a bit of rust to work off to the start the year. And yet, over those games, Chavis did slug nine homers with a .284 batting average. The other piece working in Chavis’s favor is the lack of depth that the Sox have at the Major League level. Rafael Devers looks to be the starting option at third, but with questions on his defense, there is some risk that he moves to first or a designated hitter role. Add in that Brock Holt and Eduardo Nunez are always a bit underwhelming in fantasy leagues, and there is more value in this play. While a good ETA might be the mid-to-late season, there is enough offensive upside to make this work out, even in a short spurt for fantasy owners. Johnson came to Cleveland as part of the Yan Gomes trade and has long been rated as a toolsy batter since he entered the Nationals organization. Profiling as a right fielder, Johnson has a plus arm that should allow him to grade out as a plus defender overall. At the plate, there is a bit of swing-and-miss, but also enough pop to let him play with a projected .240 batting average. 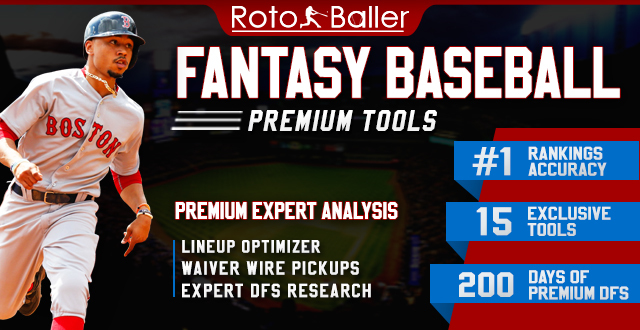 Add in some speed on the bases, and he expects as an OF with upside, or at the very least, a valuable fantasy asset in roto formats if owners can hedge the batting line. In terms of playing time this year, Johnson will not break camp with the team, but should be one of the next options up with other struggles and depth concerns. Owners would rather have Tyler Naquin win the job in Cleveland, who will show the usual lack of offensive production which will pave the way for an early Johnson debut. The Cleveland offense and outfield need some production, and Johnson would be a good source of RBI and with the OBP profile that fits the team as a whole. This is a player that draft-and-holders would be smart to add as he will play in 2019 at some point. Hudson is a player that the Cardinals clearly want to have on the opening day roster this year, but owners need to hedge their bets on playing time to start the year. He recently was identified as the fifth starter in the rotation coming out of spring, but would fit better in the bullpen over his first full season. Long term, the starting rotation will be his spot, but owners should not expect that impact this early in his career, and perhaps, he might move back to a long-relief role if the stuff is not there to start. In 27.1 innings last year, Hudson posted an ERA of 2.63 over 26 appearances from the pen. The downside was the lowly 16 K%, but with a 60.8 GB%, there is a reason to buy the upside in the profile. In the minors, Hudson posted an 18.4 K% but also had a superb 8% walk rate, so he can compete without elite stuff. Even with Adam Wainwright taking a spot in the rotation, there will be playing time for the Cardinal’s farm hand. Hudson has three plus pitches and some issues with the control, which means the walk rate will be something to watch for staying time. With an ADP of 595, there is no risk to adding the arm who has a starting role and will have opportunities to gather wins playing on the Cardinals. If ultimately worse comes to worst, he could be a very good multi-inning reliever. If owners are looking to stash a prospect with legit power upside, Lowe is the player to target. Finishing the year with 28 games at Triple-A, he chipped in four homers. Add in 23 homers in 102 games at two levels below, and the power upside is tracking well for 25-plus upside in a full season with the Rays. The other intriguing fact is that at Double-A, over 51 games, Lowe slashed .340/.444/.606, adding in ratio support as well. The K-rate also stayed below 20% meaning that there is a contact floor to add to the approach at the plate. Ranking at 33rd on my list, Lowe is only slotted outside the top-15 due to questions of playing time. Ji-Man Choi is currently slotted to start on the long side of the platoon, and with his track record, there might be a spot open early in the year. If he plays, Lowe would be a top option at CI on all roto teams. This is also the type of player that will win leagues if he gets the call and plays every day. If he makes the team this year, it will be because an injury has affected the top rotation in baseball, or the Cleveland bullpen needs a shot in the arm. If either thing happens and hoping for the second, McKenzie has the upside to be an impact arm. Over 16 starts at Double-A last year, the righty struck out 24% of opposing hitters, while only walking 7.7%. Add in a 2.68 ERA, and the stats look to support the prospect's high rankings. Durability will be the critical question, with the bullpen being the best spot to preserve his effectiveness. The fastball and curve are the best offerings, with a changeup still in the works. In a set-up role, McKenzie could be this year’s Ryan Pressly and offer excellent support in a multi-inning role. (After drafting this piece, McKenzie ended up on the Injured List, but this will only help fantasy owners. With the draft stock slumping, owners can add him on the cheap, and the upside is still there. The injury also means that he is expected to pitch out of the pen, so the fantasy value is there based on the earlier projections. Expect holds if he gets time, and if not, the ratios alone will be worth the stash.